Henagames – An indie developer trying to create fun games for everyone to enjoy! 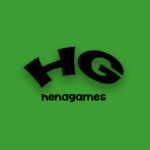 Henagames is a one-man shop based in Southern California. I am a long-time web developer with roots in Macromedia Director, Adobe Flash, and helped usher in some of the early days of rich media for major automotive companies around the world. I’ve recently been trying to live out my dream of being a game developer. I’ve launched one game so far, “Stupid Aliens”, and am working on my second game titled “All Aboard!”, coming soon to Android and iPhone. I have been a gamer since the Atari days, grew up in the time of bootleg Commodore games, even owned a Sega CD and skipped school with some friends to beat Dragon’s Lair, and I haven’t put a controller down since. I have never stopped loving and playing games, and I’ve always wanted to create one myself. I’m happy to finally be here, building games that I want to play and releasing them to all of you to play along! Get started by checking out my latest game “Stupid Aliens”, and read about my upcoming game “All Aboard!”. Thank you for visiting Henagames!